Azerbaijan and Ukraine may enter a new stage in tourism cooperation. 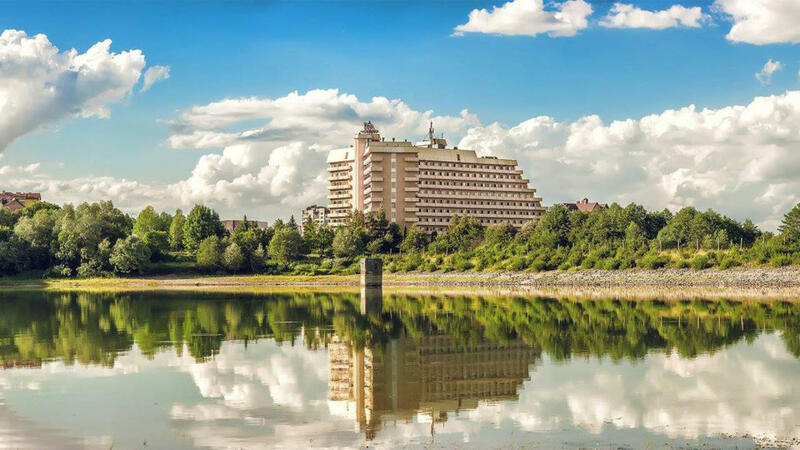 Trustkavets, Ukraine's central resort city, is keenly interested in cooperation with the tourist regions of Azerbaijan. This was stated by Mayor of Truskavets Andrey Kulchinsky at a meeting with Azerbaijani Ambassador to Ukraine Azer Khudiyev, who was on a visit to this city. The Mayor of Truskavets said that the international song contest dedicated to the memory of Muslum Magomayev, the world famous singer and composer, National Artist of Azerbaijan and USSR, has been held for the first time in the history of the city, noting that tourism, culture, sport are also among the main priorities of cooperation between two countries. Recently, The National Tourism Promotion Bureau of Azerbaijan held a seminar called "Your Azerbaijan-2018" for tourism companies in Kiev, informed about the most popular tourism routes in Azerbaijan, the tourism market of Azerbaijan, as well as the possibilities of cooperation. Speaking about the development of the tourism sector in Azerbaijan, the Mayor noted that the mutual exchange in tourism between the tourist regions of Azerbaijan and Truskavets may be a start of the new era in the development of the bilateral relations. Khudiyev noted that well-known Azerbaijani companies are ready to invest in big projects of Trustkavets. “Joint work must be done to realize economic, social projects between regions of Azerbaijan and Trustkavets. Azerbaijan is open to Ukrainian investors," he added. The tourism relations between Ukraine and Azerbaijan are based on the documents signed in July 1998. Tourism has become one of the priorities of the country's economy and there are wide opportunities for tourism development today. In Azerbaijan and Ukraine, special events, frequently dedicated to the culture of both countries, are held. More than 8,000 Azerbaijani tourists visited Ukraine monthly in 2017. Azerbaijan is among the top five CIS countries in terms of the number of tourists coming to Ukraine. In recent years, the flow of Azerbaijani tourists to Truskavets, where Carpathian sanatorium is located, has increased. Azerbaijan takes the third place after Russia and Belarus in temrs of the number of tourists coming to the sanatorium every year.